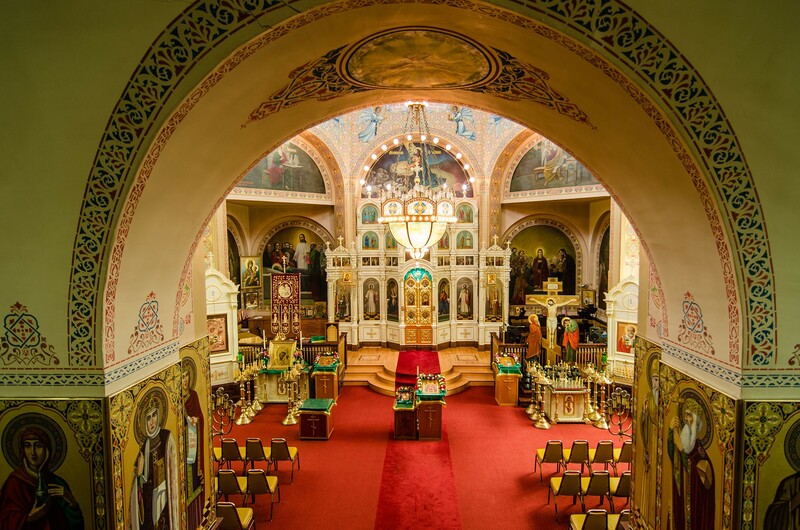 The only one still intact is Holy Trinity Russian Orthodox Cathedral in Chicago. It looks as if it might have been plucked from a small town in southern Russia. 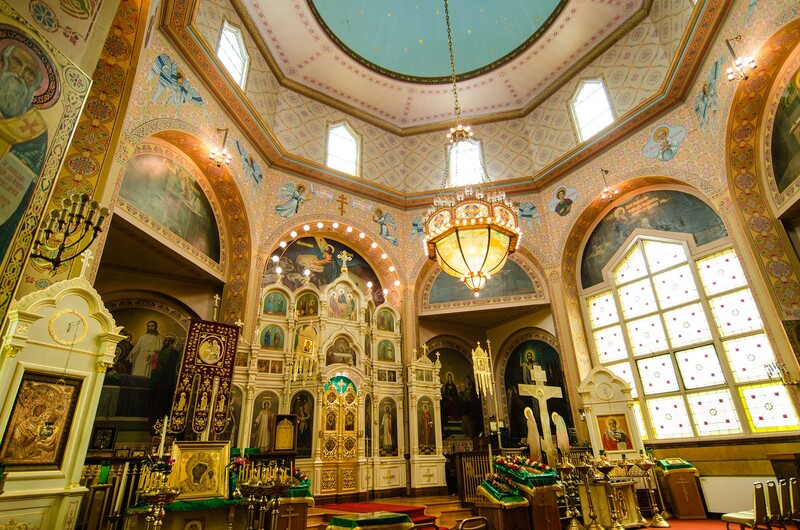 Set on a quiet street in the Ukrainian Village, it’s a rare gem that conceals an intimate, ornate interior redolent with incense. 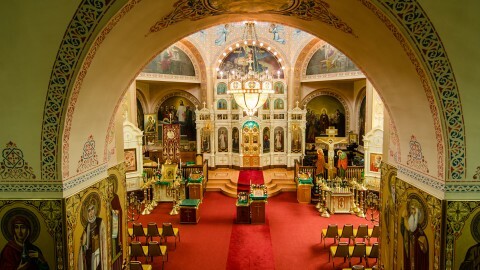 The interior is an intimate and flexible space, lavishly painted with iconography and without permanent seats. 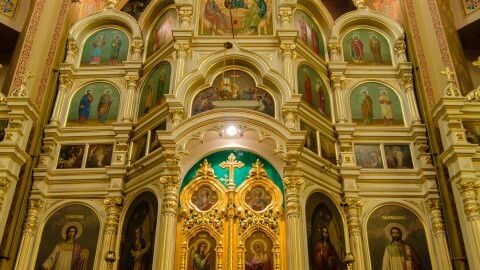 A church in the Siberian village of Tatarskaya may be a main source of inspiration for the design of Holy Trinity. Sullivan was so personally invested in his work on Holy Trinity that to ease a funding shortfall, he requested only half of his normal commission. 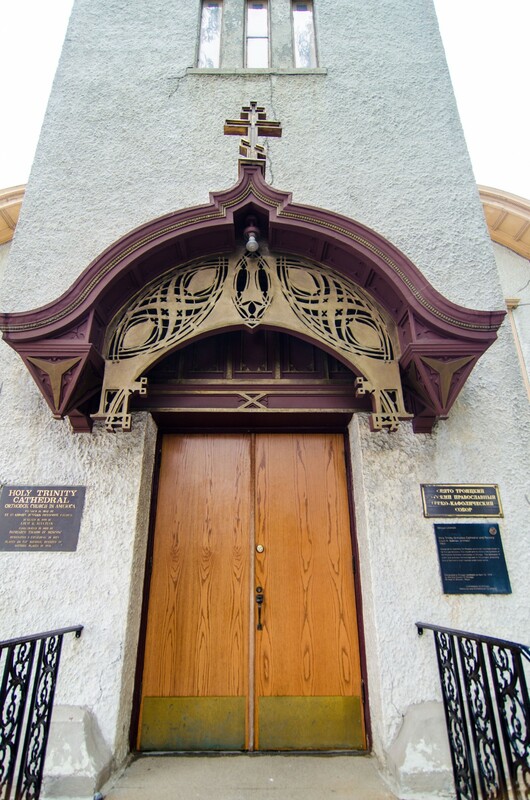 The founders of Chicago’s first Orthodox congregation were largely immigrants from southern Russia. 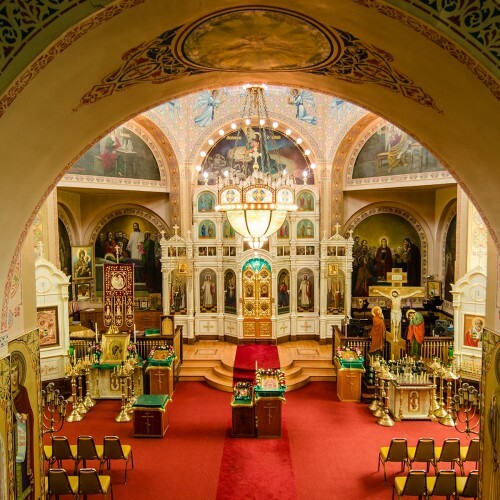 When they decided to build a church, they didn’t look for inspiration from the grandiose buildings of urban northern Russia. 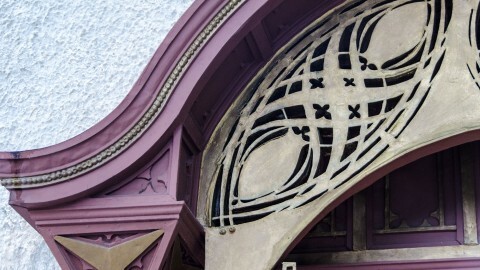 Instead, they sought the comfort of a familiar style, derived from the small rural churches of their native lands. 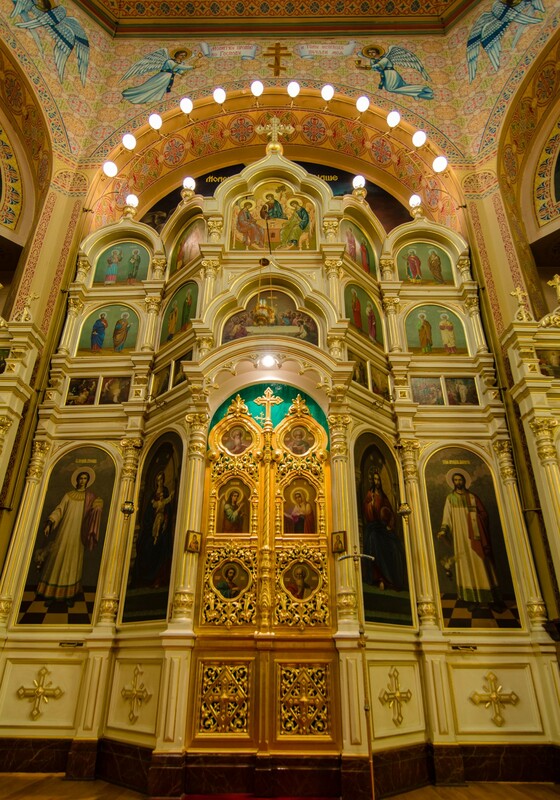 Armed with funding from Russian Czar Nicholas II, the congregation engaged Louis H. Sullivan to design the cathedral. 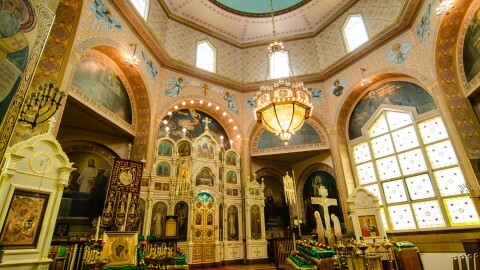 He drew on Byzantine and Russian Provincial styles, but included his own distinctive touches. 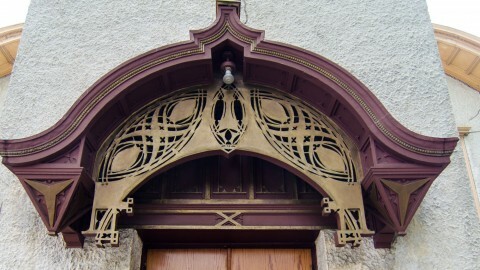 Abstract decorative designs are carved and painted in the woodwork, betraying the influence of the Art Nouveau and Arts and Crafts movements. 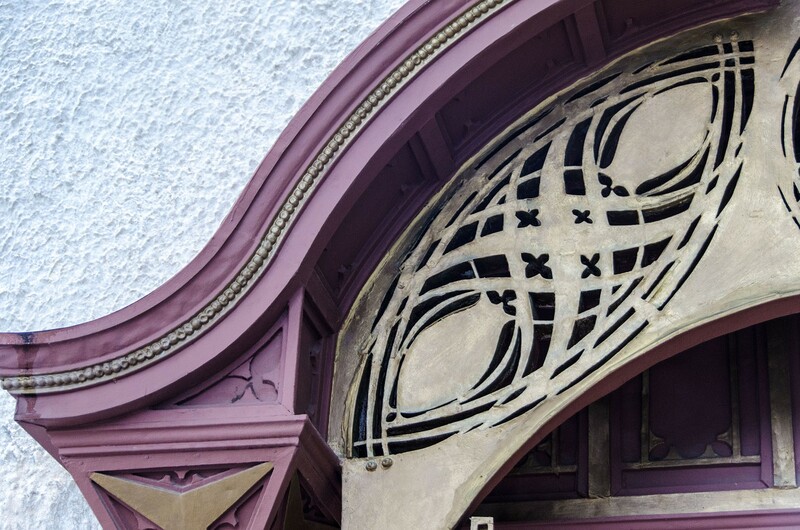 Interpreting traditional styles through a contemporary lens allowed Sullivan to create what he hoped would be considered one of the most unique and poetic buildings in the country. He was likely influenced by the theories of architect Eugène Viollet-le-Duc. Viollet-le-Duc believed that the best revival of a historic building or style isn’t necessarily a precise replication of something that once was, but an adaptation designed to maximize appeal to modern viewers.